The menu is half garden-focused and half faux meat. You can go deeply comforting with a huge bowl of Buffalo Mac and Cheese, all bright yellow and orange with a garnish of green (a world of nutritional yeast?). 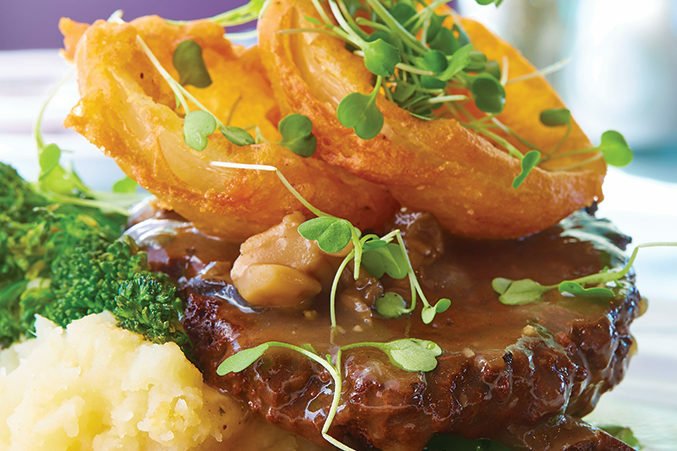 Beyond that, you get into the game of the faux (seitan) brisket that’s caused such a stir. There’s Salisbury “steak” and tortilla-encrusted fried “chicken” with mushroom gravy.